The AirSep FreeStyle 3 Custom Carrying Case was designed with you in mind. 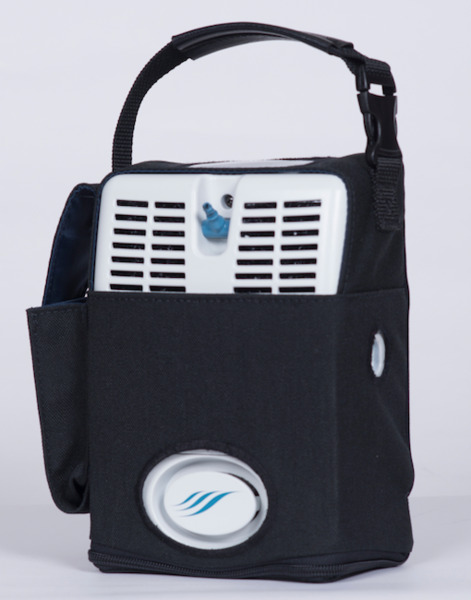 AirSep just recently upgraded the carrying case to make it more patient friendly. New materials, new vent holes, and more make this carrying case one of the best on the market. One of the great features of this carrying case is that it allows you to easily access your unit’s control panel. A cutout on top of the case allows you to easily open the protective lid on the control panel to change your flow rate or check your remaining battery life. One of the major upgrades AirSep made to this carrying case is the new material used for the case and straps. The upgraded material on the case makes it more durable allowing it to withstand the stresses of everyday use. The straps of this carrying case can make a huge difference in comfortability. Rather than simply being a nylon strap to throw over your shoulder, AirSep has added padding to their shoulder strap for comfort.